Can the works of art become alive? What about the possibility to step into a painting and experience the depicted story? What are the secrets that the artists have hidden in their paintings? The "Art Detectives" books invite you behind the scenes of the art world, full of adventures and mysteries. The series features the young detectives Theo and Button and their sausage-dog Comma, who investigate the hidden secrets of works by some of the best-known Latvian artists. 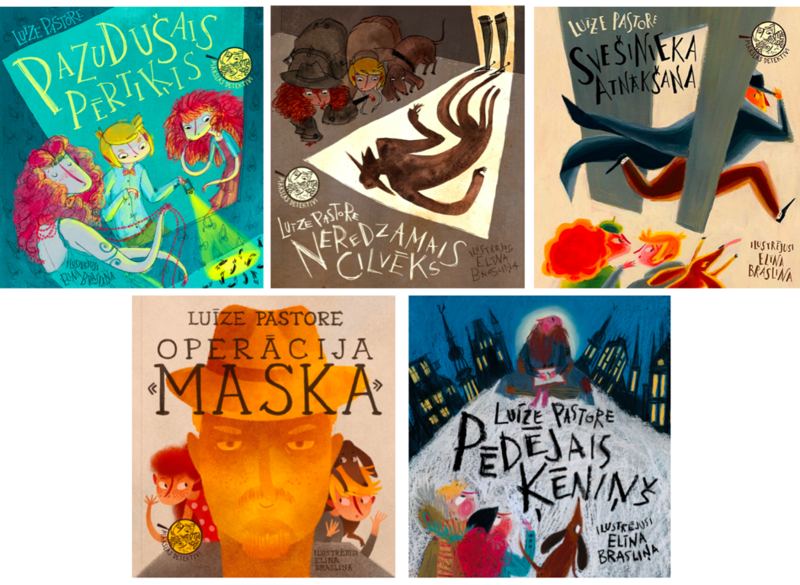 Five titles have been published in the "Art Detectives" series - "The Missing Monkey", "The Invisible Man", "The Arrival of a Stranger", "The Mask" and "The Last King". In all five books, Theo and Button go on the greatest chase in the history of the art world. And there's more to come! Publisher: Neputns; Illustrator: Elina Braslina.